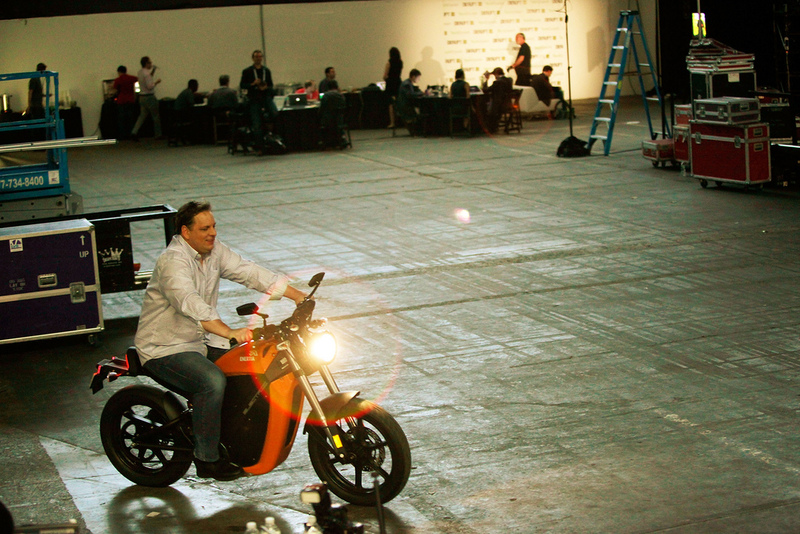 Our last day of Disrupt NYC was bittersweet, but we all got to ride a Tesla. Make sure to check out our favorite moments from Day One, Day Two, pictures of the whole event (including the Hackathon, Startup Alley, backstage, and our after parties), and all of the videos we shot while in New York. 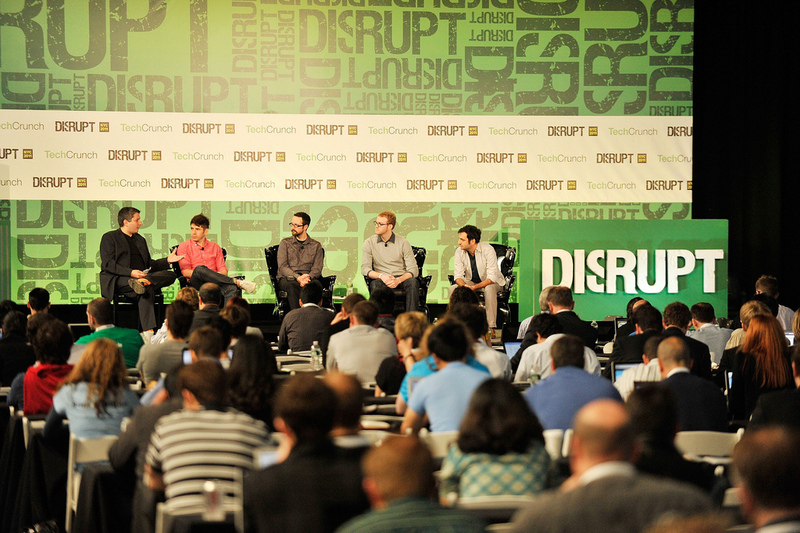 Looking back, here are some of our favorite moments from our last day of Disrupt in New York City. 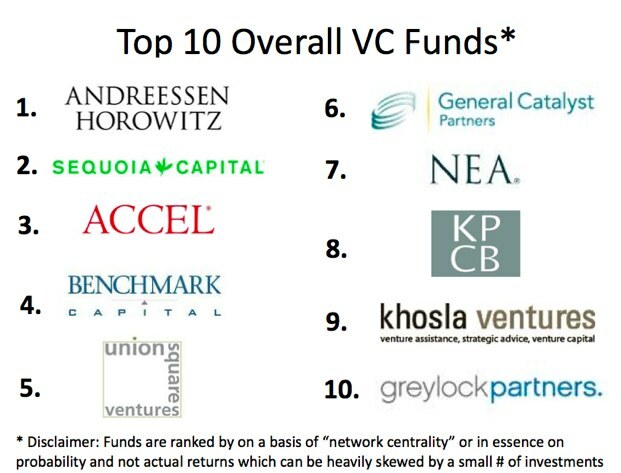 Chris Farmer, a partner at General Catalyst Partners, introduced InvestorRank at Disrupt and revealed the top 10 venture capital firms. He explained how InvestorRank looks at the connections between VC firms and is based on how connected and trusted a VC firm is. Many people were surprised to see where certain firms were ranked. Do any of the rankings below surprise you? 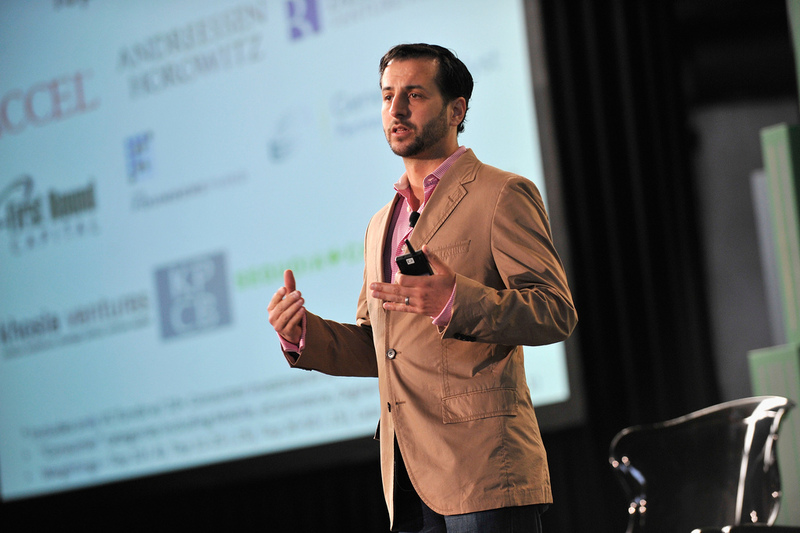 Be sure to read more about InvestorRank here. 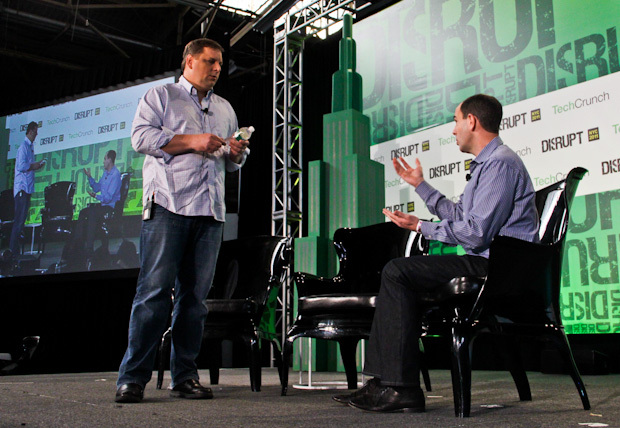 When Square COO and angel investor Keith Rabois took the stage with Michael Arrington, they began discussing the mobile payments product and his investment strategy. 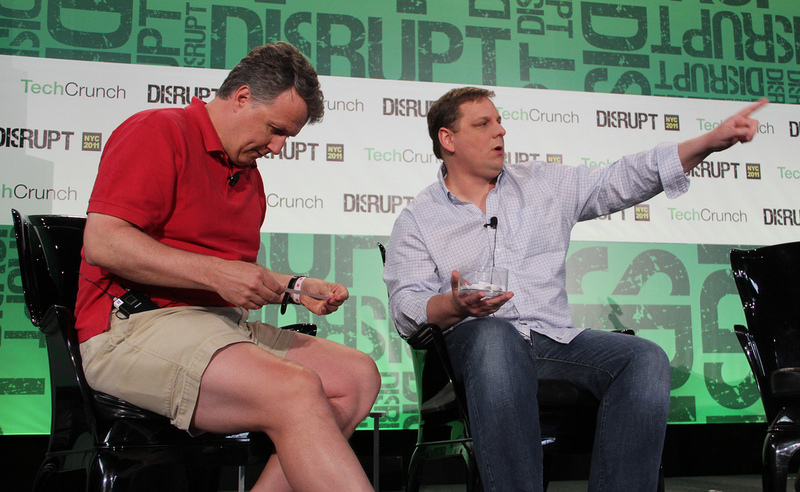 Knowing Square was on track to process $1 billion in payment volume within one year, Michael Arrington asked Rabois if he thought Square will ultimately do better financially than PayPal. To see more of Arrington and Keith’s chat, be sure to watch the video below. As you can see in the video above, there was a shiny and orange Brammo Enertia electric motorcycle onstage behind Rabois and Arrington. After their chat, Arrington looked at it and spontaneously decided to give the motorcycle away. After running backstage to have a short talk with Brammo CEO Craig Bramscher, it was a done deal. Everyone got excited and audience members raced to the microphones. 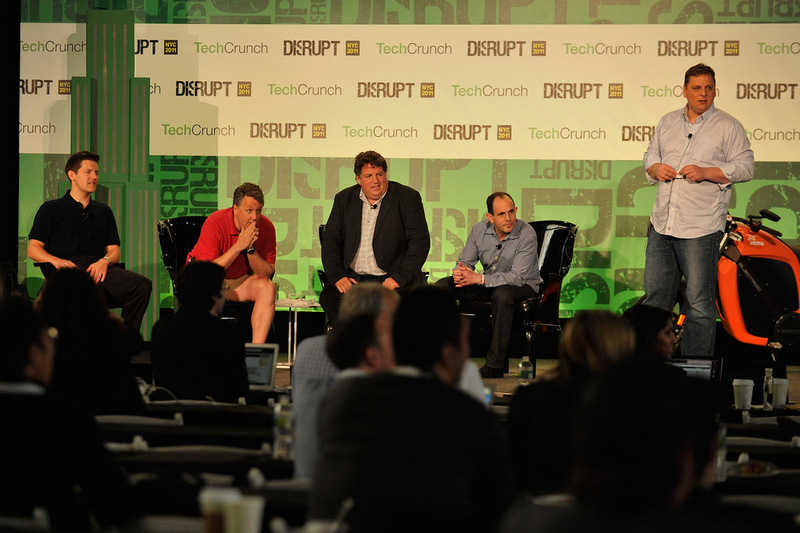 Arrington called Bramscher up onstage, as well as Paul Graham (Y Combinator), Keith Rabois (Square), and Roelof Botha (Sequoia Capital) to help judge. 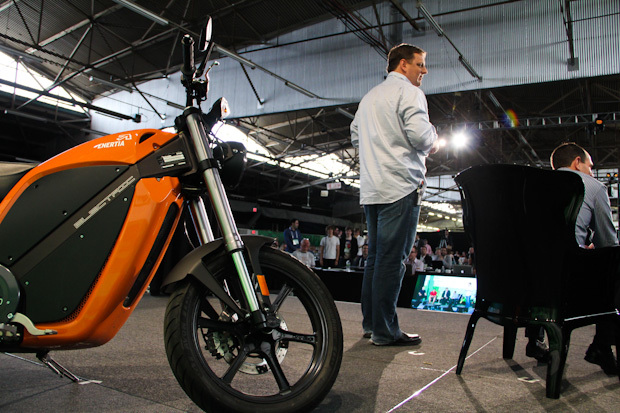 Arrington told the audience they could submit 10-second pitches on why they should be chosen to win the motorcycle. Pitches were made that included shouts like, “It’s my birthday!” However, one sweet lady who wanted to win it for her son before he had to leave for the marines won the bike. The pitches were really funny. Be sure to catch all of them below. 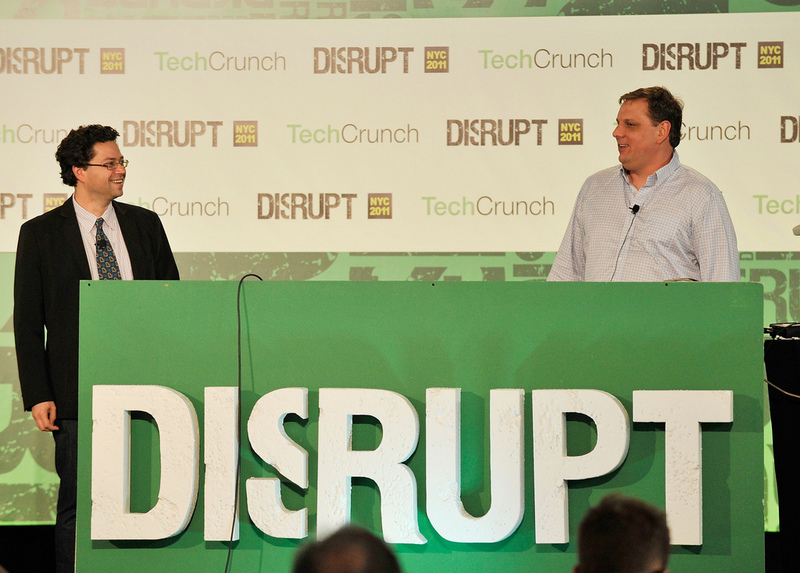 Since this was our first Disrupt of the year, we wanted to try something new. To our delight, it actually proved to be one of the biggest hits of the whole event: Paul Graham’s ‘Office Hours’. 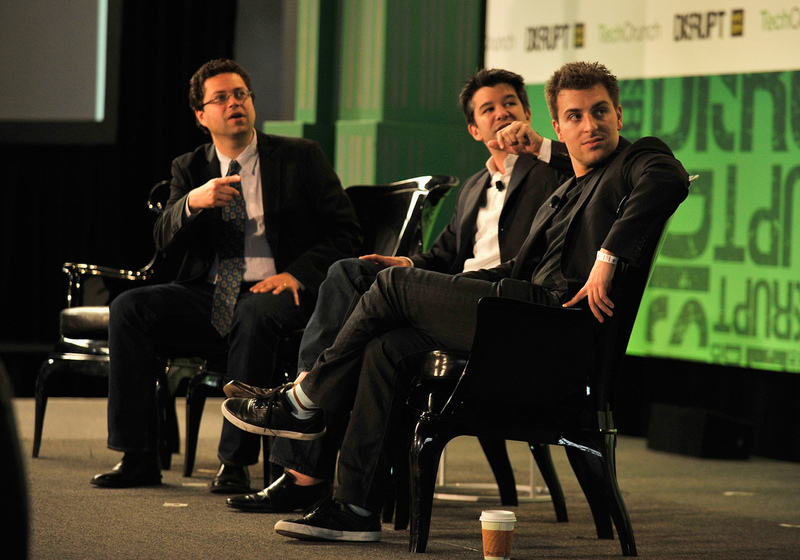 The goal was to reproduce the sessions Graham and others hold with each of the startups who participate in Y Combinator. 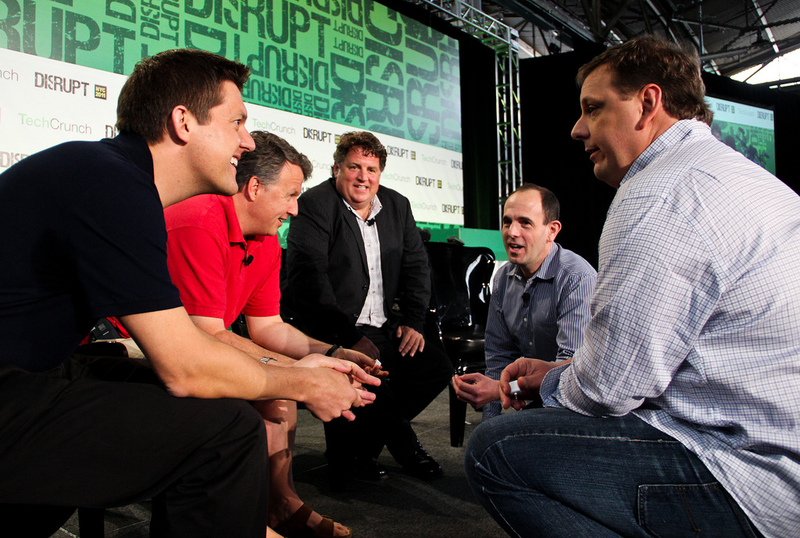 For these sessions at Disrupt, six startups were randomly chosen out of the audience to come onstage in front of a few thousand people to pitch their idea to Graham. If you haven’t seen it yet, be sure you watch the video below. It is a must see. 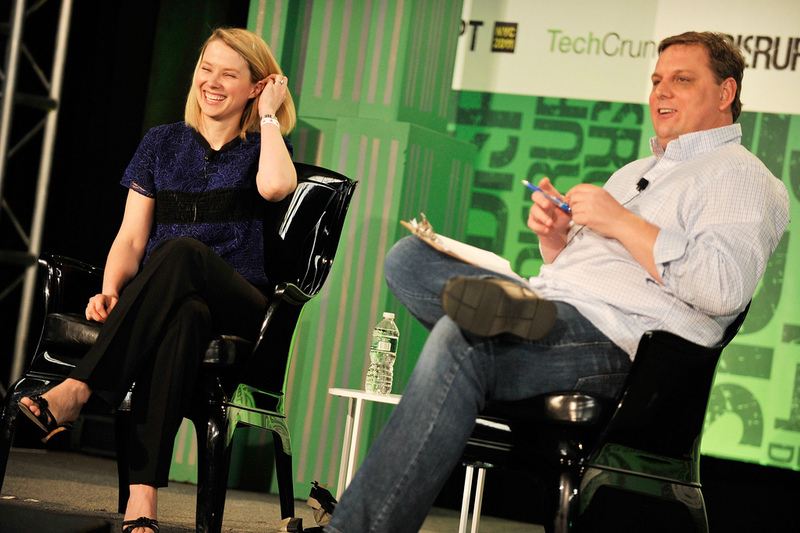 One last favorite moment was when Michael Arrington sat down with Google’s Marissa Mayer. With Mayer having been to all of our events, she’s a pro who is always ready for any hard questions. After revealing some key numbers and stats on Google, Mayer said she expects traffic on Maps for mobile to exceed those on the desktop Maps. Wanting to know more, Arrington tried to get Mayer to name what percentage of total searches are made with mobile devices, which is a number Google hasn’t given out yet. Arrington jokingly tried to coax it out of her by threatening to tweet out her cell phone number. Asking if she’d rather he tweet out her cell phone number, or reveal the mobile search number, Mayer told Arrington he could tweet out her cell phone number. Of course Arrington never did, but it was a hilarious exchange to watch between the both of them. Make sure to watch the whole interview below and continue to scroll down for some of our favorite pictures from Day Three. Again, we wouldn’t have been able to do any of this without our partners, sponsors, and volunteers. A huge thank you to: Ustream for providing our live streaming video, Parlor.fm for helping us network on-site, GroupLogic for putting files on our judges’ iPads, doMen (.ME) for giving us a new directory, Oyster.com for providing wonderful hotel discounts, New Atlantic Ventures for showing us exciting new startups, EventBrite for hosting registration, Business Only Broadband for keeping us connected, VCorp for providing printing and PR services, and DailySteals.com for offering giveaways. Thanks to the additional support provided by PopChips and Smith and Keats. And to Ooyala and Producteev for online video, editing, and management services. And of course we couldn’t forget to include this in as one of our favorite moments from Day Three. 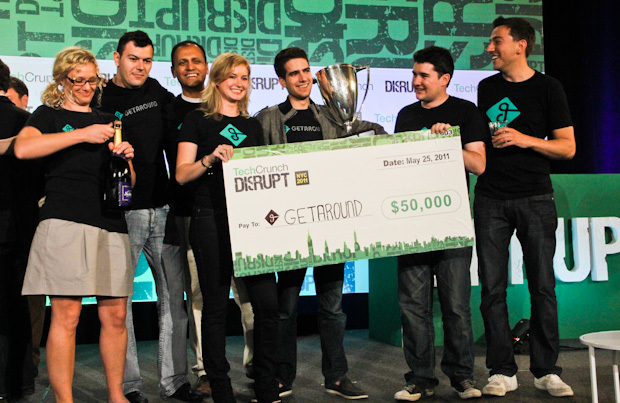 Congrats again to Disrupt NYC 2011 winner, Getaround!